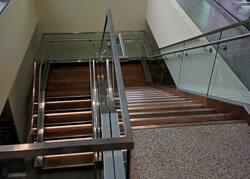 Install stairway and handrail. 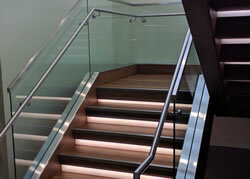 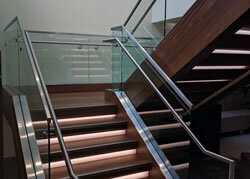 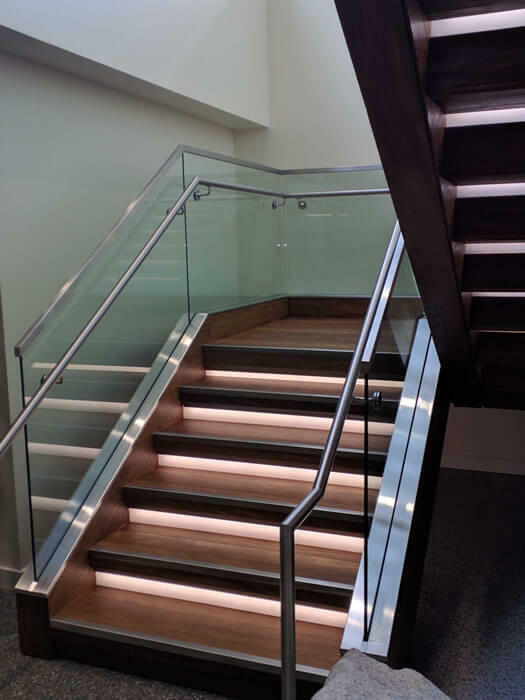 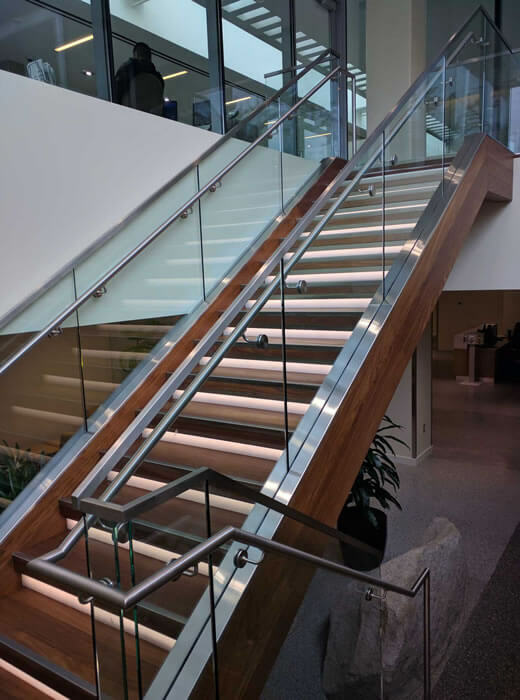 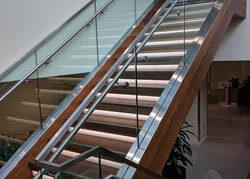 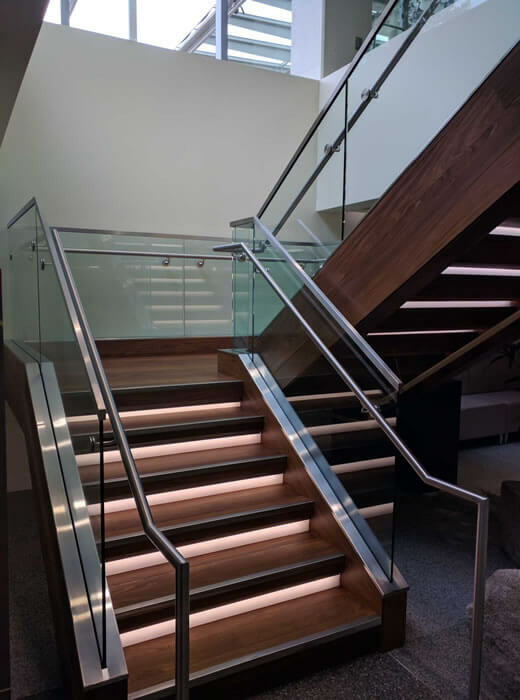 The stairs were created using glass and stainless steel components. 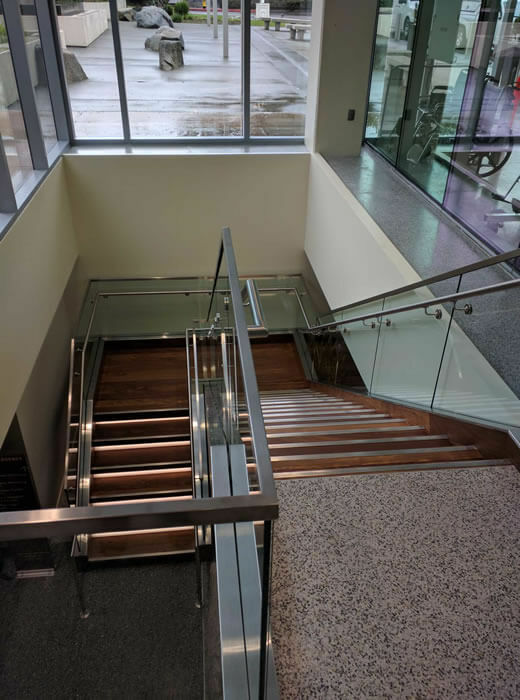 Installing the stairway trim was challenging, due to all of the angles.